People have been requesting this video for a super long time now, so FINALLY I got around to filming it. I have a little obsession with buying shoes, especially since coming back from Japan for the first time! I never used to own many shoes before, my feet are small so I could never find the right sizes here in Australia. However, in Japan it is a little bit easier to find my size! So~! Here are just some screencaps on my shoessss! I absolutely LOVE Forever New. They are pretty much one of the only brands in Australia that stock clothes in size 4 and shoes in size 5! 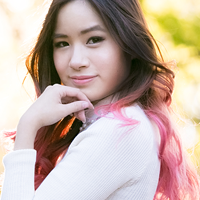 Also their style is really girly, kind of like Liz Lisa! These shoes came out for the Spring 2014 Collection. I fell in love with them straight away when I saw them! They are also the most comfortable heels I have ever owned, I can walk around them all day! There is a huge platform at the front so you aren't really tilting your feet that much. I absolutely LOVE these shoes! Yes they are the same as the previous ones but just in a different colour. I loved the previous shoes so much that I waited until Liz Lisa was having a sale on their website, so I got these for half price! I absolutely love these! I was looking everywhere for just some simple heels that go well with a lot of my clothes! They are quite comfortable as well! I got these like... 5 years ago? I don't really wear them much since they are hard to pair with my clothes (actually, not really I just kind of put them in the back of my closet haha). Maybe I should wear them out more! I got these many years ago from a shop in Perth! They closed down now unfortunately but these are quite comfortable since the heel isn't very high. I don't wear them out much since they are kinda more formal shoes! Yeah, I bought them in Japan but I can't remember what shop they were from! They were quite cheap though. In Japan you can find stores that sell shoes for just $10 each! I got these shoes from one of those stores so I'm super happy! I do wear these quite often! And... knowing me if I do like something a lot I will buy the same item in different colours :P This one goes better with my Liz Lisa clothes! I LOVE these! I wore them so much and go well with so many coords! 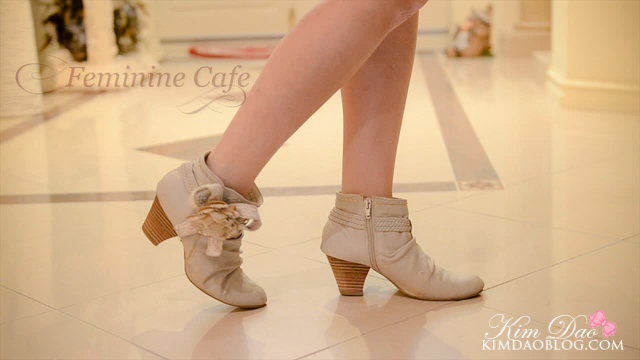 I love these little boots! They are so comfortable! The fur gets dirty quite easily (fake fur) but it still does feel quite soft! I got these shoes about 5 years ago, and I still wear them sometimes to special events! 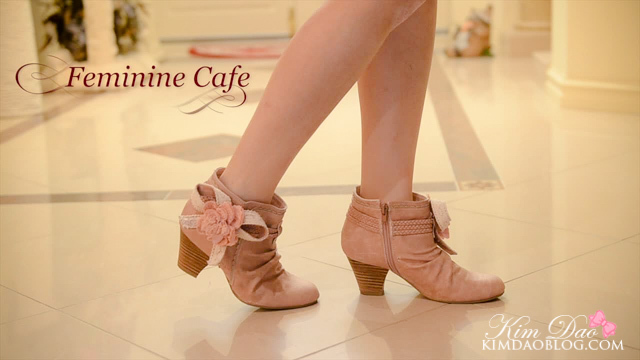 I absolutely LOVED these shoes from Feminine Cafe. It was so soft and so comfortable to wear... except I accidentally tripped on it one day and one of the buckles broke :( So sad! LOVED these shoes since they go so well with my cords! As you can see I have worn them heaps and they're getting a bit worn out haha. Got these in a store in Perth a realy long time ago. I haven't worn them much since they aren't very comfortable but I only got them for $5! Got these on Taobao for around $20! So happy with them and they're great! Got this in Ikebukuro in Sunshine City again! I got them the first time I was in Japan haha. Another one I got in Sunshine City on my first trip to Japan! This one was quite unique since it had another part that you can add to the boots and they just become longer! However it wouldn't go on properly so I gave up and didn't put them on for the video lol. Got these boots earlier this year! They were on sale so I got them for around $50? 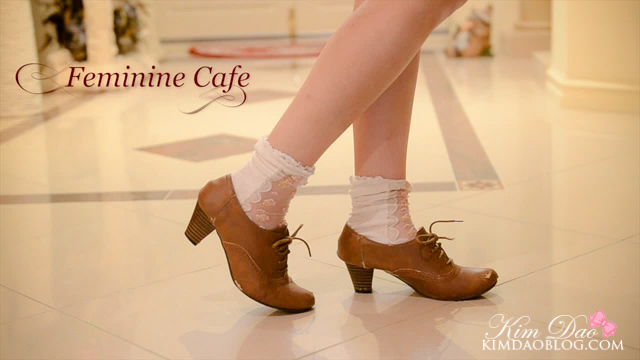 And FINALLY Liz Lisa releases shoes in size S!! I was so excited! LOVE these boots so much! So pretty and finally something that fits me well! I actually got these after the brown ones (below) because they had a huge sale to get rid of their winter stock, so I got these for $30! I got these before the pink, but I got these for around $50? They were on sale at Liz Lisa! Some black knee high boots from Japan! I actually bought this on impulse.. it was only 900 yen (Around $10) so I thought why not! hahaha. They are actually pretty good quality and quite comfortable as well! Anyway that's the end of this long blog post lol. Anymore requests for blogs let me know! I'm not too sure but I'm a size 36 in Europe and I wear size S in Liz Lisa sizes ^^ Liz Lisa also goes up to size LL in their shoes! wow kim! you don't own any sneakers or sports shoes?